Modern Assyrians are an indigenous people of the Middle East distinguished by their heritage, language, and religion. 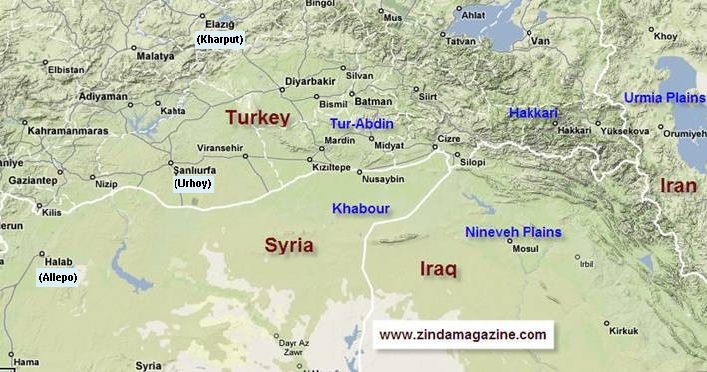 Their homeland, located in the heartland of the ancient Assyrian Empire, in the 20th century is divided along international borders bounding Syria, Turkey, Iraq, and Iran. Many Assyrians still live near the archeological remnants of cities such as Nineveh, Khorsabad, and Babylon. The basis for the language of modern Assyrians is Aramaic, of which they form the last significant speakers. Aramaic, written alphabetically, served as the lingua franca of the Assyrian Empire and together with Akkadian, written in cuneiform characters, was the every day language of the empire. 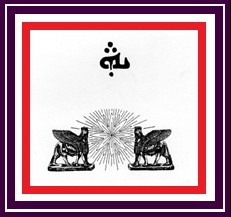 The Achaemenids of Iran later adopted Aramaic in the same role. In the Middle East, Aramaic is the oldest continuously written and spoken language and the oldest in the world after Chinese. Assyrians began adopting Christianity in the 1st Christian century in Urhoy (Edessa) (Turkish city, Sanliurfa). Syriac Christianity converted Armenians in the early 4th century, and traveled along the Silk Road to China in the 7th century where members of royal Chengizid tribes adopted it. Modern Assyrian transition from patriarchal church eponyms to a single cultural identity progresses slowly as the historical record of the early modern period becomes better understood. For the present, in Western languages the term Assyrian subsumes members of the Chaldean Catholic Church, the Syrian Catholic Church, the Syriac Orthodox Church and the Church of the East as well as their Protestant offshoots. Among close neighbors in the Middle East however, Assyrians are known as “Aisor” in Armenian, “Asori” in Persian, and “Assyriski” in Russian. Among modern Assyrians themselves, the self-designation of “Suryoyo” and “Suryaye” carries the weight of thousand-year tradition. Both these terms relate to Assyrian since “Assyrian” and “Syrian” is historically the eastern and western manifestation of the same term. Under succeeding Islamic states since the 7th century, Assyrians, like other non-Muslim ethnic communities, became reduced to the status of barely-tolerated minorities. Since the Genocide during World War I, continued persecution has created the Assyrian Diaspora extending around the world. Preservation of this unique cultural heritage rests with the Assyrian community aided by those who recognize the value of the harmony of world civilizations.